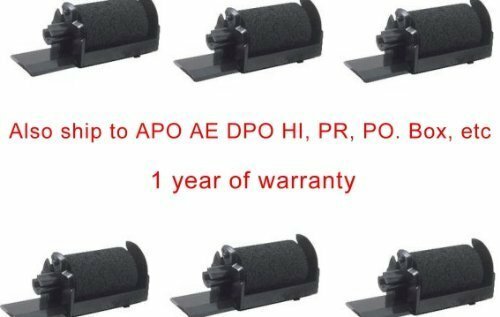 Six Compatible black ink roller ribbons to replace IR4O nylon printing Ribbon Cartridge for XE-A 101, 102,101RF, 102RF, 110, 115, 120, 130 POS P.O.S Sharp Cash Register printer. Photosharp ships to Hawaii, Alaska, XEA APO,FPO, AE, PO Box, Puerto Rico PR, and the Virgin Islands and other US territory address. If you have any questions about this product by Premium Discount Toner, contact us by completing and submitting the form below. If you are looking for a specif part number, please include it with your message.